Warner Music Group's sale of a large Spotify stake is not out of lack of confidence in the business model, but rather because the music company doesn't want to hold equity long term, said the media company's CEO. Apple Music is of course an audio-first streaming service, but if you have time to kill, you can kick back and watch documentaries on musicians, producers, and other aspects of the biz. Here's a roundup of some of the titles now available or coming soon, the latest being "Wiz Khalifa: Behind the Cam." Apple CEO Tim Cook recently sat down to discuss Apple Music and its place in the burgeoning music streaming world, once again touting the service's human content curation as a key benefit over competitors like Spotify. Apple's services financial category jumped 31 percent year-over-year in the third fiscal quarter of 2018, its best performance ever. Earlier on Monday, Apple released the fifth beta of iOS 12 to developers. AppleInsider has been digging through this most recent release and we have assembled a long list of everything that has changed this time around. 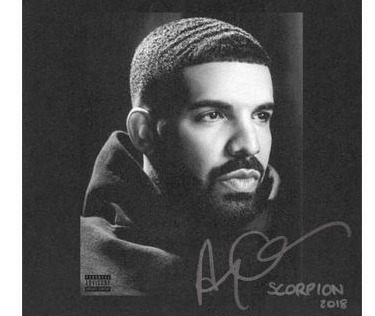 Scorpion, the fifth album from musician Drake, has become the first album to achieve 1 billion streams globally in a single week, a feat that aided the artist in reaching the top of the Billboard 200 album chart in the same week as the chart altered how streams are weighted in results. Apple Music has pulled ahead of Spotify in the U.S. market, a major music distributor claims, with Apple's streaming service said to have overtaken its main rival in terms of the number of paid subscribers from the United States. Scorpion, Drake's fifth album, has smashed through his own single-day streaming record on Apple Music with more than 170 million streams in its first 24 hours. Spotify reportedly only reached about 76 percent of that traffic, despite claiming 120 million more users. Apple appears to be shooting for a pair of high-end portable audio devices for release in calendar year 2019, with development of both well underway. Apple just released GarageBand 10.3, a major new Mac update that's not only free to download but also makes Artist Lessons-- formerly $4.99 each--free downloads for all users in over 120 countries. Apple and Oprah Winfrey have teamed in a long-term partnership to develop programming and original content for what will likely become Apple's streaming video service.